As the Palm Harbor pizza pick for pizza-loving locals, here at Fairway Pizza and Sports Page Pub, we know plenty about pizza! But today we want to show just how far that pizza love goes and share some odd pizza facts with you! A man in Romania named Cristian Dumitru ate 200 pounds of pizza in a week! 2. There’s a Pizza Expo! Every year at the end of March there is an annual pizza expo in Las Vegas! 2019 celebrates the 35th year of this expo which is designed for small pizza stores and chain stores! 3. Mayonnaise on Your Pizza? In Japan, it is a common practice to put mayonnaise on your pizza! We’re not too sure how well that might go and we’re surely not about to try it for ourselves, so if you do, let us know how it went. Since we sell Palm Harbor pizza, we don’t have to think about this, but did you know that there is such a thing in New York as the “Pizza Principle”. The Pizza Principle states that the cost of taking the subway in NYC should be roughly equivalent to the cost of a slice of pizza. If you’ve ever wondered about the world’s most expensive pizza, wonder no more. The Pizza Royale 007 was created by Domenico Crolla. The pizza which was sold in a charity auction for $4,200 was topped with lobster marinated in Cognac, edible gold, Venison, sun-blushed tomato sauce, and caviar marinaded in Champagne! 7. How Fast Can You Eat a Pizza? The world record for the fastest pizza ever eaten was set by New Zealander, Josh Anderson. In just one minute and forty-five seconds, Josh was able to finish a complete 12″ pizza! 8. There Are Days Dedicated to Celebrating Specific Types of Pizza! As a species, we love pizza so much, that there isn’t just a day for celebrating it, but there’s a day for celebrating special varieties of pizza including National Cheese Pizza Day on September 5th, National Sausage Pizza Day on October 11th, and November 12th is National “The Works” Pizza Day but this doesn’t include pizza with anchovies! The very first pizzeria in the world cooked their pizza in ovens that were lined with lava direct from Mount Vesuvius! 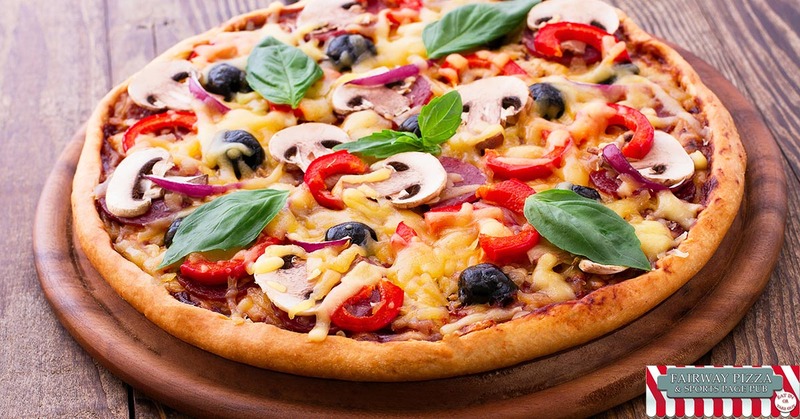 While most of us associate pizza with Italy, it was Greece that created the first version of pizza – although it looked much different from the pizza we eat today! Looking For Palm Harbor Pizza? 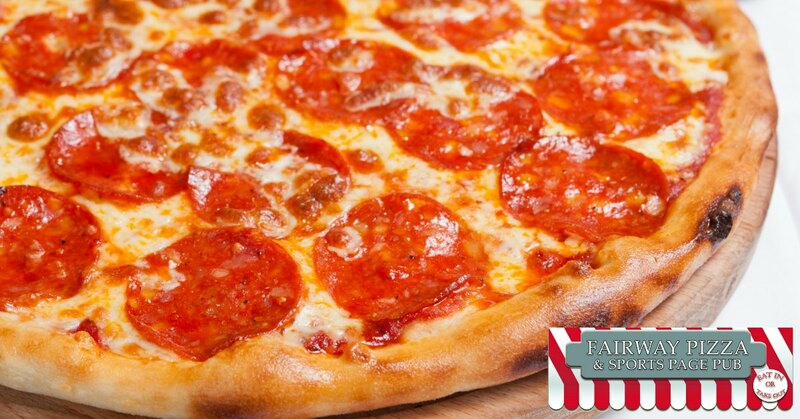 If you’re in the Palm Harbor area and looking for delicious pizza, pizza delivery, or pizza takeout, Fairway Pizza and Sports Page Pub are here to serve you! Take a look at our online menu while you decide what to order, then give us a call at 727-772-7060.